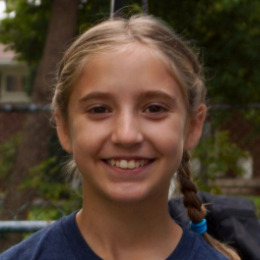 This is the story of a girl inspired to give back and make a difference in the world. I started this business all for me, but I realized I didn’t really like this all for me. I don’t need the money, but other people do. Young Evi has always enjoyed making her own jewelry and one day, during a trip to Michael’s—a craft supply store—some vibrant glass beads caught Evi’s eye. 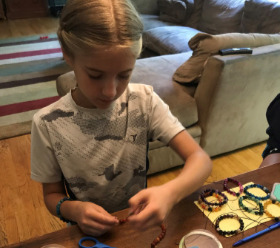 She liked them so much that she decided to make bracelets out of the beads, and realizing she may be on to something big, she bought some extra supplies to share with her friends. Then, Evi came across some lava rocks and realized that she could incorporate those into her bracelets to look good and smell good all the time! “She’s always been crafty since she was like 2 or 3 years old,” explains Evi’s mother, a Young Living member. As sales started to pick up, Evi began to wonder what she would do with the proceeds. 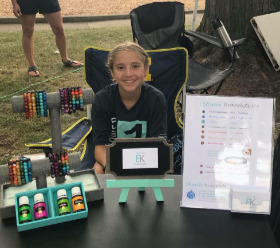 When her mom returned home from the Young Living 2018 Grand International Convention and shared her experiences and what she learned about The D. Gary Young, Young Living Foundation, Evi realized that her bracelets could make a big difference. My mom came home from convention and showed me pictures and videos. The biggest thing that stood out was Joan and Henry’s story. I learned that it only costs $1 to save a child’s life and realized that if I can raise up enough money, I can save like 114 children’s lives! Evi has big goals and is becoming quite the businesswoman! With her mom’s help, she is learning how to run a business and is currently working on ways to minimize her costs to make a greater impact and plans to save her money to grow her business. Evi also aims to raise at least $1,000 for malaria treatment by the time the 2019 Young Living International Grand Convention takes place. We are overjoyed and inspired by Evi’s big heart and entrepreneurial spirit and are so happy to see such an ambitious young lady empowered to make a difference by giving back to those in need. 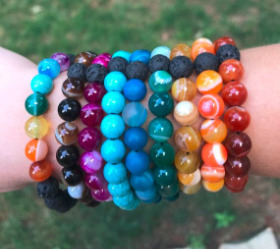 If you’d like to be a part of Evi’s movement, check out her Etsy page to view all the cute bracelets she sells! Evi’s favorite Young Living oils to diffuse on her bracelets are Peace and Calming and Stress Away. Click the link below to shop for Evi's Etsy shop. She is happy to create custom bracelets as well!